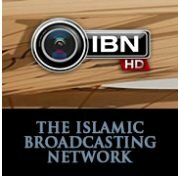 Religious TV Channel / The Islamic Broadcast Network is a local cable television station in Trinidad and Tobago. Known as the IBN, the station is carried on Channel 8 on the Columbus cable system. The station's studios are located at Bamboo Main Road in Valsayn, and its CEO is Inshan Ishmael. The station carries several hours of local programming daily. While it focuses on religious programming the station's schedule also includes a considerable amount of current affairs and community / lifestyle programming. Shows such as Breaking Barriers and Point Blank have become immensely popular and have been rated highly in recent surveys.